Today is the day. With so much competition in the Christmas tree market, the Meridian Optimist Club Christmas tree lot had to remain open longer than usual. 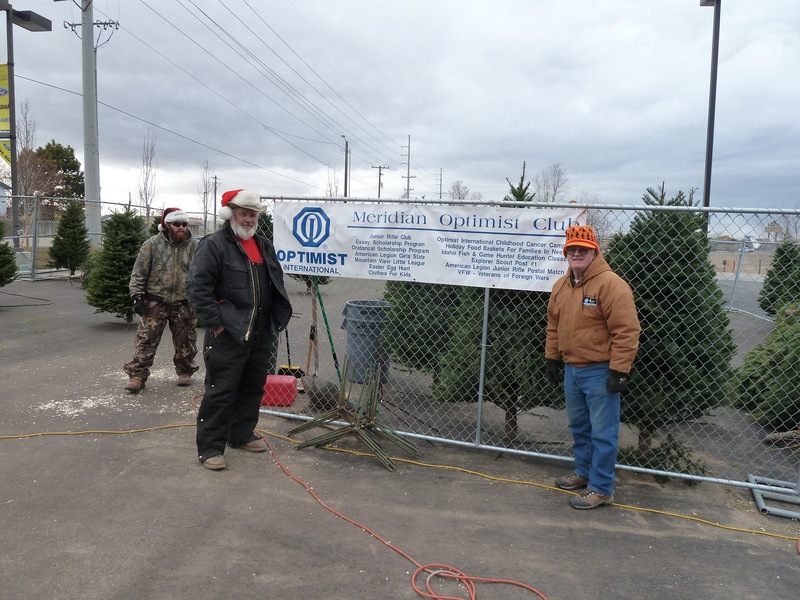 You see, the plan is to sell the trees fast and then head home to enjoy the holidays with the family, all the while knowing that the community has helped the Optimist Club do more activities with their generous purchases. With the sliding economy, many independents have set up their own tree lots and the extra competition has proved to be a challenge; but according to Christmas Tree Chairman Kirk Farnsworth, this year the club still was able to sell about 500 trees. With only 40 or so left on the lot and only two days 'til the big event, the club began to give them away. After all, that's what Optimist Clubs do: give back to their community in hopes that children will benefit. Thanks to the Meridian Optimist Club for your service and thanks to the customers who help the Optimist Club do more to benefit kids. Thanks to Rocky Jackson for the photos. Remember, click to enlarge.